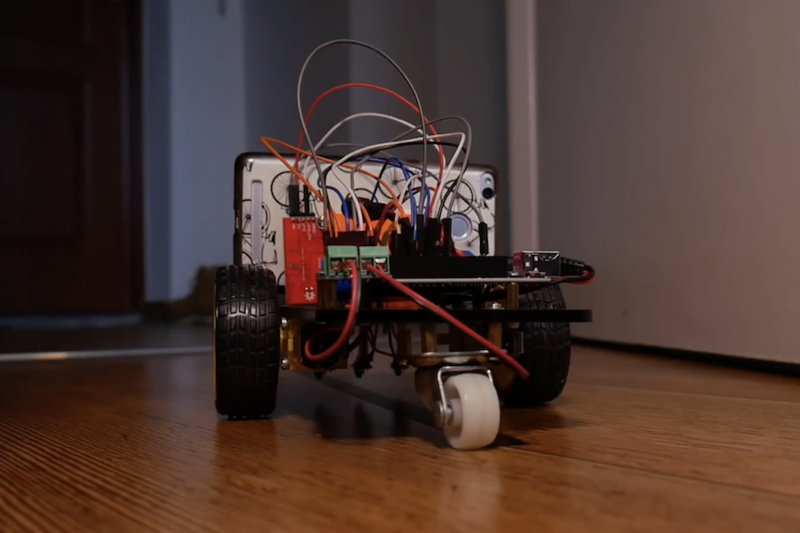 Arduino Blog » Wake up with this mobile robot alarm! Waking up before 9am can be a challenge for Nikodem Bartnik, but he also hates to waste time sleeping when he could instead make something. In order to help him with this “joyous” task, he assembled a line-following robot that scoots his phone out of the room in the morning, forcing him to get out of bed and chase it down. The device utilizes a pair of gearmotors in a standard tank-like configuration for movement, and sensors to follow a black line on the floor. A sound sensor allows its Arduino Uno controller to pick up on alarm sounds coming from his phone, which is mounted on the robot with a 3D-printed holder. When activated, it follows the path out of his room, waiting for Bartnik’s bleary eyed—but awake—arrival.